No search feature on the website. 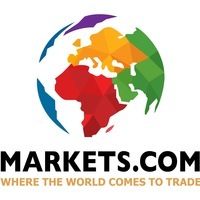 Owned by SafeCap Investments Limited, Markets.com is a Cyprus-based forex broker and is one of the most well-known Forex & CFD providers in the world. If you want to learn more about the company and the website, reading this Markets.com Review will give you all the information that you need. Clients of this forex broker have four trading platform options. This includes the industry's favorite MetaTrader (MT4), the Java Trader, Practice Trader, and Mobile Trader. Whether you trade daily on your computer or do it on a mobile device, you can be sure that SafeCap's Markets.com has a platform for you. Like any brokerage firm, Markets.com has a customer support service in place. Support is available 24 hours a day and it's available in multiple languages. The firm has over 25 phone numbers situated in different parts of the world and also has a number of email addresses per department. This makes it easier for clients to contact Markets.com. One of the best features of the website, according to many of Markets.com's clients, is its live chat embedded in the system. Described as a market leader in providing top-notch services and trading products, the company is also known for its great customer service. In the year 2012, the company won the "Best Broker in Customer Service Europe 2012" from the Global Banking & Finance Review. It also won the same accolade from the London Investor Show Forex. Markets.com is regulated by CySEC and is a licensed broker in the EU. It is also authorized to offer brokerage services by the Banque De France, the FCA, BaFIN as well as other leading regulators in the European Union. 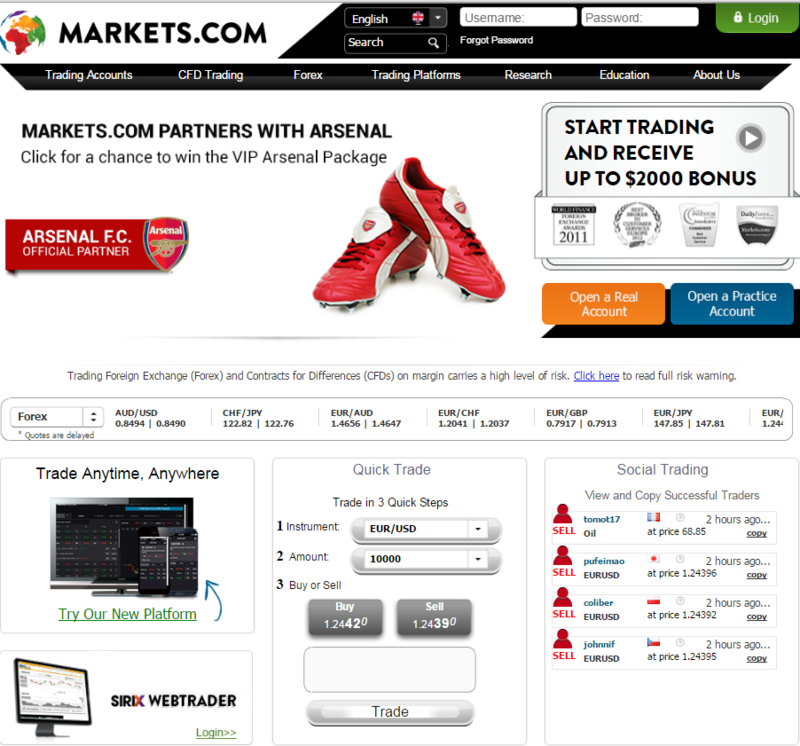 Markets.com can be viewed in 25 languages including English, German, Russian, and French. Prospective clients have the option to use their credit or debit cards to place direct deposits in their trading accounts. Other available payment methods include WebMoney, fast bank transfer, and wire transfer. If you start trading with Markets.com today, you will receive a $2000 bonus. One of the main reasons why Markets.com is a good choice is its high speed execution. According to its clients, the company also has tight spreads, provide education and training materials to each and every client. Based on the information in the website, Markets.com does not any charge any commission or fees. It also offers real-time market analysis and news and clients receive market updates more than three times a day. The website is protected by rigorous firewalls. All transmissions are done through SSL encryption. While forex trading can mean big returns for traders, prospective traders should keep in mind that FX trading involves a significant risk in terms of loss. Whether one is planning to trade through Markets.com or any other brokerage firm, it is important that there are risks involved. It is still a good idea even for knowledgeable and experienced traders to check out the brokerage firms they plan on trading on though. This is the reason why, one should not only look at one review but peruse other reviews as well.